What are the likely trends and priorities to be set by exhibitors at EuroCIS 2019? 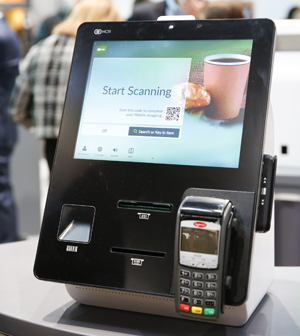 The ongoing digitalisation of our society is currently also dominating developments in the retail sector and therefore also EuroCIS 2019. Omnichannel retail, i.e. addressing customers via various, fully integrated channels, has become indispensable. 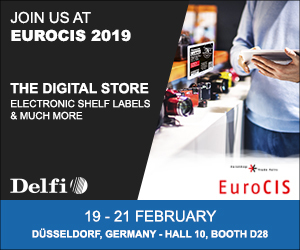 Which is why all solutions that support retailers in implementing their omnichannel strategies will play a prominent role at EuroCIS 2019. 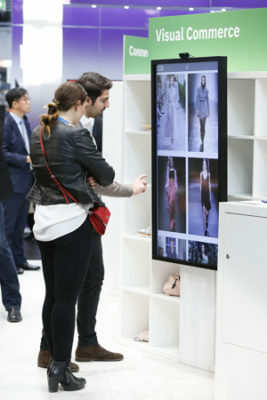 Above all, these will include mobile solutions, be these for supporting in-store staff, interacting with customers’ smartphones or implementing mobile payment or the digitalisation of the POS using smart mirrors, video walls or virtual reality to ensure more service and the emotionalisation of the shopping experience. Hot topics like the IoT, AI and robotics are also very popular. Many developments in these areas over the coming years will also of great relevance to the retail trade. EuroCIS already brought some of these topics on board last year. In the coming year they will move even more to the fore at exhibitors’ stands. Just like in 2018, EuroCIS also offers a “Guided Innovation Tour” in 2019. Retailers in which industries or company sizes is this tour particularly aimed at? The tour concept was designed in such a way to make it interesting for retailers from a wide range of industries. Independent retailers will find it more interesting to be introduced to individual solutions on a guided tour than perhaps retailers with a large branch networks and their own Retail Technology department, who usually come to EuroCIS very well informed. The range of solutions presented during the tour is broad, from exciting in-store and analysis technologies to the latest customisable solutions for young start-up firms. Mobile payment has been a hot topic since mobile phones arrived on the mass market – but German consumers, especially, remain cautious. Will mobile payment become more widespread in this country at some point? I guess so. The introduction of the “contactless girocard” in the summer of 2017, in particular, has noticeably changed card-based payment processes in many retail businesses. Usage rates for contactless payment are making significantly increases month on month. The great success of card-based contactless payment is now encouraging providers to focus their energies on mobile payment – the logical next-generation technology. It remains to be seen whether mobile payment will ever become as widespread in Germany as it is in China, for example. But here, too, retailers should be prepared to offer customers all the options they want. Demand will increase noticeably in the very near future. AI, big data analysis and robotics have long been used by large retail chains. Are technologies like these also useful for “small” physical retailers with one or two branches? Many applications, especially in the field of AI and big data analysis, are increasingly available as cloud services and are therefore – albeit to a lesser extent – also relevant for smaller retailers. As far as robotics are concerned, most small retailers are unlikely to find a reasonable cost-benefit ratio at present, but this too may change in a few years’ time. 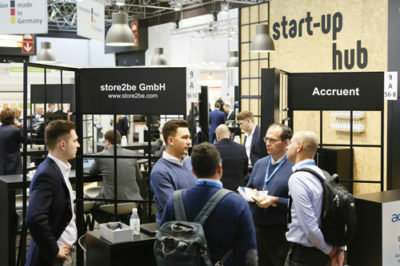 2019 will see the Start-Up Hub held at EuroCIS for the second time now. Can you give us a brief insight into the highlights we can expect to find there? Providing key highlights here will be the ideas and innovative solutions from the young companies present. For instance, the 15 exhibitors include Brickspaces – according to their own information, the largest marketplace for the brokerage of temporary retail concepts in the D-A-CH region. The focus here is on pop-up stores and the implementation of unique retail concepts at prime locations. With Fision’s Size Advisor users can create an individual body profile with virtually any smartphone or webcam. The assistant then calculates the ideal clothing size from body size and live images. Nodis will present a direct sales engine for manufacturers and distributors from the consumer goods industry enabling them to network individually with multipliers and activate these for the direct sale of their goods. Panther Pricing‘s cloud software generates automated retail price reduction recommendations using intelligent machine learning technology. Thinkinside offers an in-store analytics solution that measures in real time how customers move around the store and what products they interact with. The next step is to transfer the data into actionable KPIs for branch and marketing managers in order to improve processes and optimise store profitability. These are just a few brief examples of what awaits us in the Start-up hub. A new feature this year is a separate lecture forum at the hub where newcomers can present themselves and their solutions to the specialist audience in short lectures and engage in direct dialogue.